Study of the triggering mechanism of rainfall-induced landslides in different climatic and geological contexts, through the long-term hydro-mechanical monitoring of shallow soils. Shallow landslide susceptibility assessment. Claudia Meisina received his PhD in Earth Sciences from the University of Pavia (Italy). 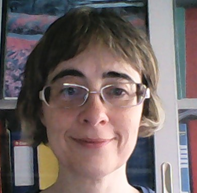 Currently is associate professor in Engineering Geology at the Department of Earth and Environmental Sciences of University of Pavia, where she leads the Laboratory of Engineering Geology and she is member of the PhD School of Earth and Environmental Sciences. She has been a post-doc at the BRGM in France. She received fellowships through Italian Foreign Affairs Ministry and Centre International pour la Formation et les Echange Géologiques. She is member of the executive board of the italian IAEG and Secretary of the Italian Association of Engineering Geology. She is actually involved in Liquefact Horizon 2020 Project and in several projects about the role of land use in shallow landslide triggering. She published 50+ peer-reviewed papers and 70+ papers in peer-reviewed conference proceedings/book chapters in the field of engineering geology.